Q: How can I prevent skin cancer and practice sun safety? A: The best way to prevent skin cancer is to avoid UV (ultraviolet) ray exposure. Usually this involves wearing sunscreen everyday, reapplying when out, and seeking the shade. Of course another source of UV rays is tanning beds so avoid those, too! Q: Who is most prone to developing skin cancer? A: A person that has had a skin cancer in the past is at highest risk to develop another. Usually they are most common in people who have fair skin and have been exposed to sun in the past. A good barometer to determine your risk factor is if there was a family history of cancers, however, anyone can develop them. Q: What are some guidelines when doing a self-examination? A: We usually suggest that people check their skin once a month, using a mirror for those hard to see places, like the back. The main things to look for are irregular or changing moles. Specifically, we look for the ABC’s of melanoma: Asymmetry, Border irregularity, Color differences in one mole, Diameter larger than a pencil eraser, or Evolution. Another rule we have is called the Ugly Duckling rule, or Funny looking (to add “F” to the ABC’s). That rule states that if you have 20 moles that all look the same, and number 21 looks different, it may be concerning. Q: How often do I need a body scan by a dermatologist? A: Most people should get checked yearly by a dermatologist. If you have had skin cancers, we check you more regularly, at least initially after the diagnosis. Q: What are the different types of skin cancer? Which is the most dangerous? A: The three most common types of skin cancer are basal cell carcinoma (BCC), squamous cell carcinoma (SCC), and melanoma. The first two types, BCC and SCC, usually are slow growing, and do not spread anywhere. Melanoma can be more serious if not caught when superficial. When melanomas are deeper at diagnosis they have a higher risk of spreading to other areas of the skin, lymph nodes, and organs. 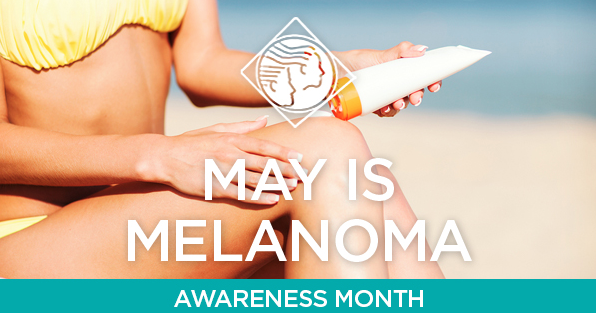 Although melanoma is the third most common skin cancer, it leads to the most fatalities. Q: What is MOHS surgery? A: Mohs micrographic surgery is a precise way to remove skin cancers with the highest cure rate while leaving the most amount of normal skin. The skin cancer is examined under the microscope, and once cleared the wound is usually closed with sutures. This technique offers a 99% cure rate for most tumors. The two most common type of skin cancers (BCC and SCC) are usually treated with Mohs if they are on the face, if they are large on other parts of the body, or if they have recurred after another type of treatment. The best way to make sure your skin is healthy is to schedule an annual skin check with a Dermatologist.